Michael Andrews Michael joined Belmond in 2006 as General Manager to Belmond Royal Scotsman. He had previously worked in some of the UK’s most prestigious establishments and has a wealth of experience in Scotland’s luxury hospitality industry. 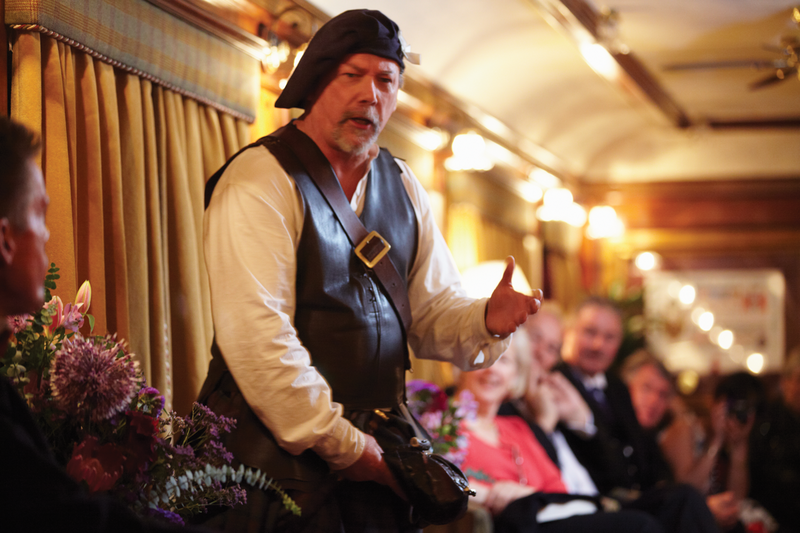 Michael brings warmth, passion and an encyclopaedic knowledge of the train and its history to his role as General Manager. Belmond Royal Scotsman rolled into service in May 1985, at the time belonging to the Great Scottish & Western Railway Company. In 1990 an alternative set of carriages were purchased and transformed to include en-suite cabins, and electric heating, replacing the original carriages to offer new heights of luxury. 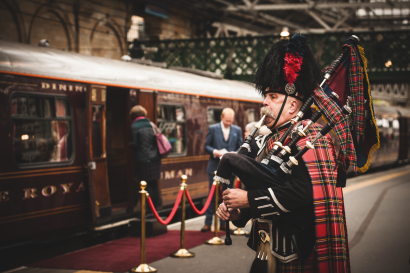 Following the rebrand of Orient-Express Trains & Cruises to Belmond on 10 March 2014, the train was renamed Belmond Royal Scotsman, and has escorted guests around Scotland’s greatest destinations ever since. 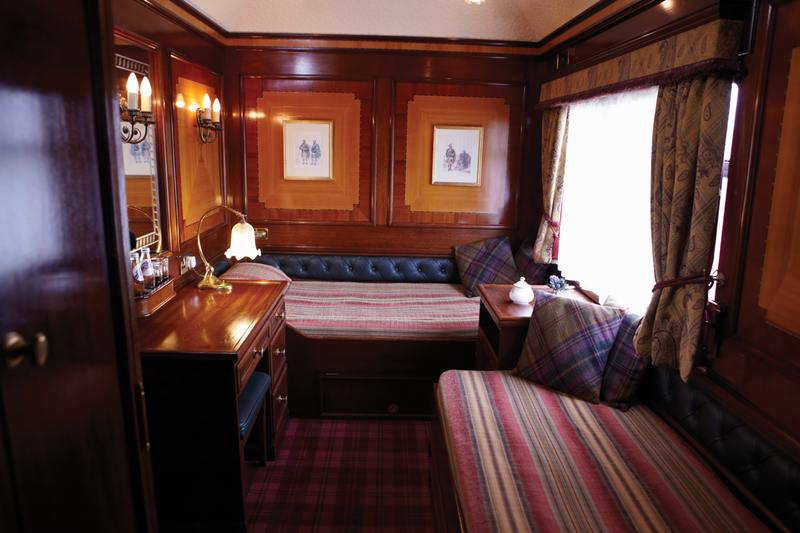 Expert craftsmen have tended to the intricate marquetry and elegant design details during the off-season throughout the train’s history of service, ensuring the exquisite carriages maintain their classic charm. 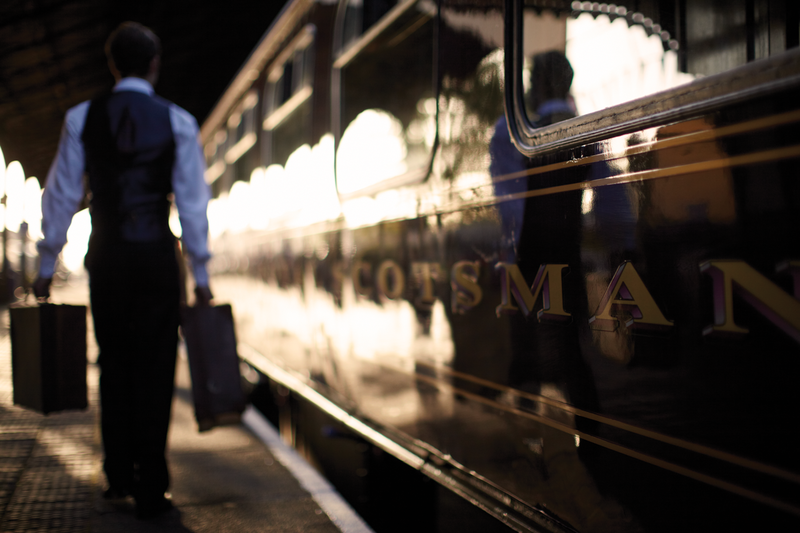 Belmond Royal Scotsman offers unrivalled indulgence and adventure. 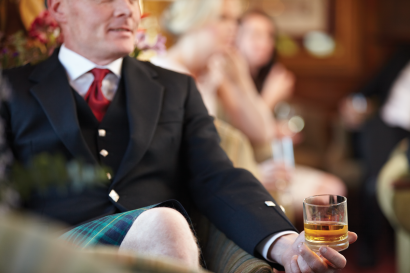 Guests will discover the wild wonders of Scotland with award winning itineraries, including traditional country pursuits such as fishing and shooting, playing golf on one of Scotland’s top courses, or exploring whisky distilleries and historic locations. 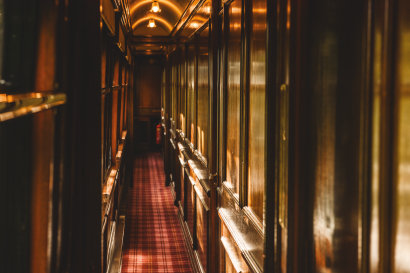 Aboard the train our guests enjoy supreme comfort with opulent surrounds, sumptuous cuisine and captivating traditional entertainment. 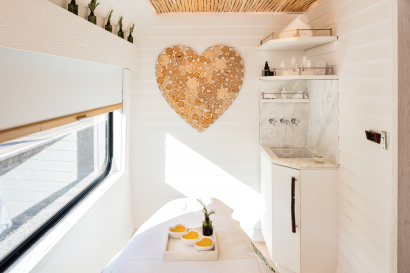 The brand new Bamford Haybarn Spa Car offers relaxation on the move with a range of indulgent treatments, and guests can marvel at the passing landscape from the outdoor observation veranda while enjoying a whisky from the bar. All meals, beverages and excursions are included. Journey to the heart of the highlands and explore the unique heritage of Scotland. Departing from Edinburgh between April and October, set off in luxury to discover ancient castles, glorious gardens and famous distilleries. 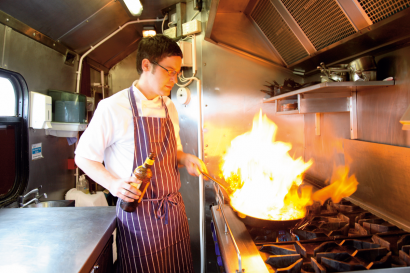 • The galley prepares and cooks around 2700 shortbread biscuits during the season. 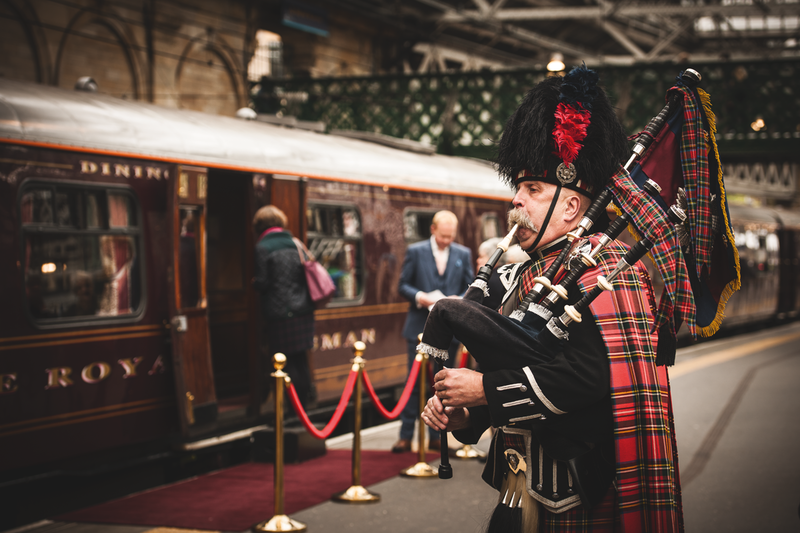 We are delighted to welcome families aboard Belmond Royal Scotsman. 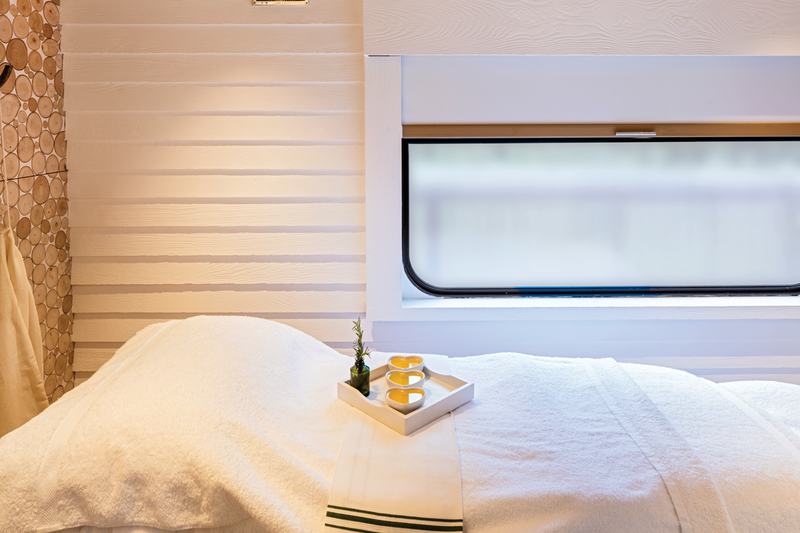 Our inviting en-suite cabins provide a cosy, indulgent space in which to relax and savour the glorious scenery. There are 15 twin, three double and four single State Cabins and interconnecting cabins in our Sleeping Cars. All have a private bathroom with shower, washbasin and toilet, constant hot water, high-quality toiletries and fresh towels every day. Lined with rich marquetry, each has been designed to offer the ultimate in luxury travel. Facilities include lower beds, a dressing table, a full length wardrobe, individually controlled heating, ceiling fans, opening windows and a cabin service call button. On each bed there is a foam pillow, a hypoallergenic duvet and quilted cotton bed covers. With the train stabled at night in a quiet siding or station, a good night’s sleep is guaranteed. 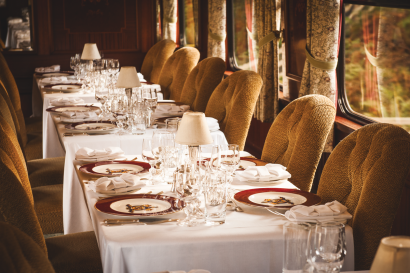 Dining is always a delight aboard Belmond Royal Scotsman. Breakfast, lunch and dinner are served in the two Dining Cars. Raven seats guests on tables of four, setting a more intimate tone for dinners with friends and loved ones, while Swift offers tables of six or eight creating a lively dinner party ambience. 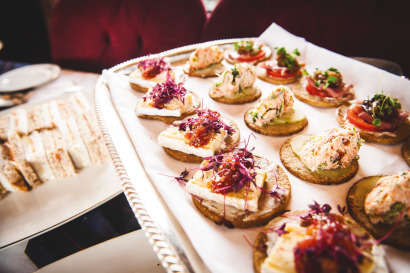 Regional specialities are created with the best local produce. From hearty Highland breakfasts to the freshest seared fish and melt-in-the mouth Aberdeen Angus beef, all dishes are freshly prepared on-board the train by top chef Mark Tamburini and his expert team. Whether a family celebration, a reward, incentive or entertaining valued clients. 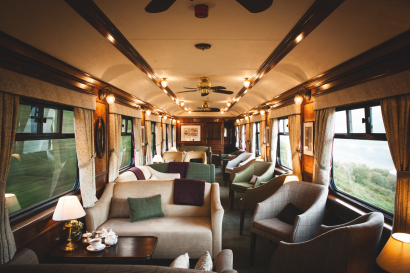 Belmond Royal Scotsman cannot fail to impress. Expect world-class service, luxury accommodation and fine dining as parties set off on a journey through Scotland’s most awe-inspiring scenery. Explore castles, climb mountains and visit whisky distilleries. 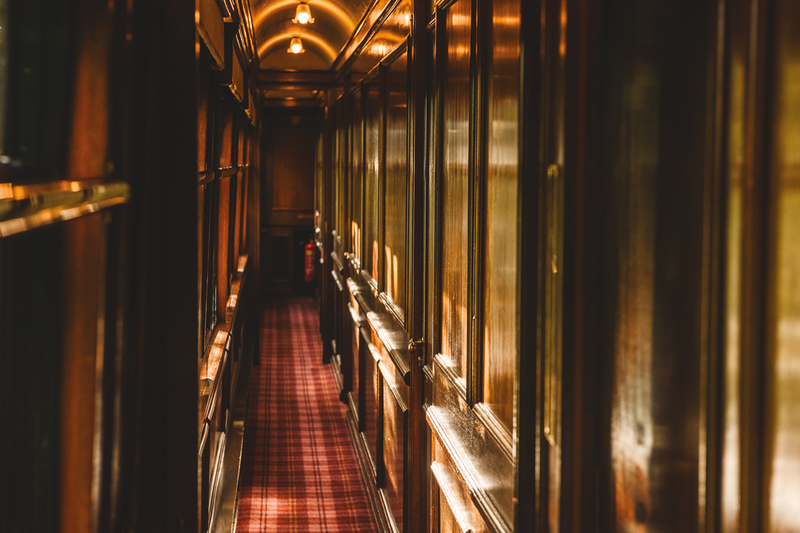 When guests charter the train, the choice is completely up to them. • The Observation and Bar Car is the social hub of the train. Plush armchairs await with the perfect view of ever-changing scenery. Stewards are on hand to offer a range of refreshments and after dinner, the floor becomes a stage for traditional musicians and dramatic performances. 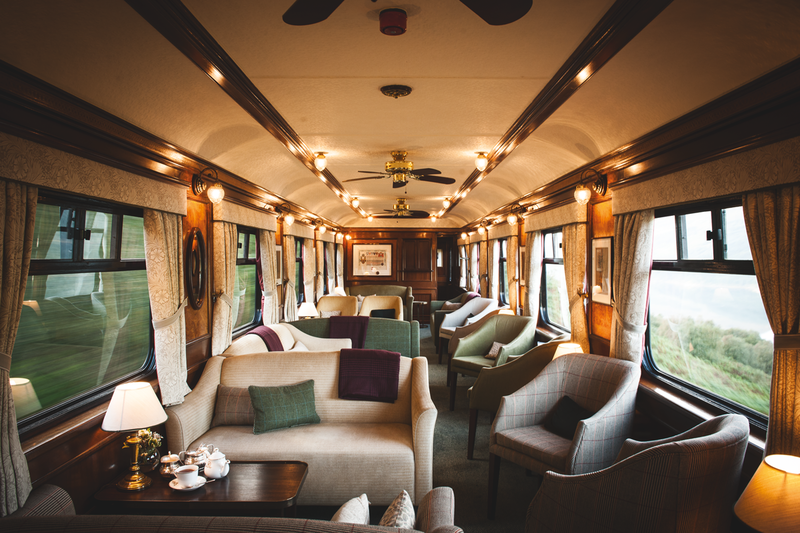 • The open air veranda is a thrilling accompaniment to an evening aperitif and provides the perfect platform for spotting highland wildlife as the train rolls on. • The recent addition of the Bamford Haybarn Spa offers new heights of luxury for train travel. Bamford’s bespoke treatments include rejuvenating facials, de-stress and deep tissue massages, and glamorous manicures and pedicures using eco-friendly Kure Bazaar polishes.